Research shows that new businesses account for nearly all net new job creation; that one innovation job spawns an additional five in the service sector; that half of all jobs will be disrupted by automation by 2034; and that 54% of millennials want to start or have started a business. That’s why Gov. Andrew Cuomo’s visionary Buffalo Billion initiative called for the creation of 43North to help lead an entrepreneurial movement in Western New York – a process that Brad Feld claims takes 20 years. Since coming on the scene in 2014, we have done a great deal of work on that front (scroll down to learn about it) but we believe that being a good steward of public resources means taking a path of continuous improvement, so please give us your feedback. Each year, we invest $5 million in world-class entrepreneurs and provide them mentorship, incubator space, marketing exposure, and access to the START-UP NY program, with the opportunity to operate free of New York State taxes for up to 10 years. We’ve attracted 44 winning startups to our community from across North America and as far away as Israel and Taiwan. These companies are doing ambitious work, from creating implantable biosensors to monitor the effects of chemotherapy in real-time, to helping farmers produce the best possible milk, to modernizing dealer-to-dealer auto auctions. Together, our companies have raised over $200 million of investment since becoming winners of our competition, and more than half of our portfolio companies still have employees in Buffalo. 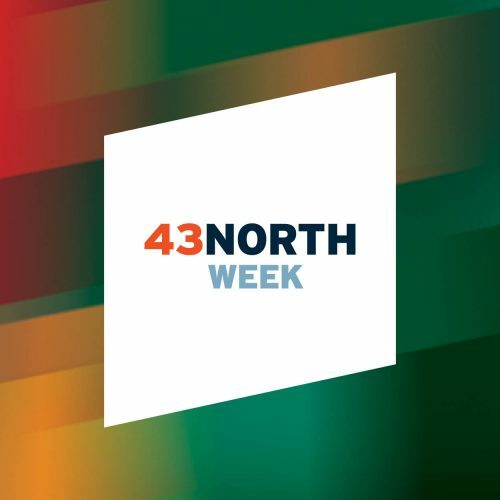 We give Western New Yorkers paths to participate in our entrepreneurial ecosystem as founders, investors, employees, customers, suppliers, service providers and mentors for startups through programming like our 43North Week in October. We have inspired more than 10,000 students from 40 local schools through our student programming and inviting them to attend 43North Finals. We shape perceptions of Buffalo as a city on the rise for entrepreneurship through media relations work that has generated more than 1,500 stories in outlets like The New York Times, Wall Street Journal, USA Today, Forbes, Fortune, Inc., Entrepreneur, Black Enterprise, the Financial Times, Yahoo News!, Fast Company and the Huffington Post. In 2017, we launched our Latitude podcast and our 43Forward vlog, and we have attracted more than 60 million social media impressions and 2 million video views. Want a quick summary of what we do? Click here. Got an appetite for legal jargon and government filings? Then the following docs will be right up your alley!